1 roll x 2ply kitchen towel. Approx. 200 sheets per roll. 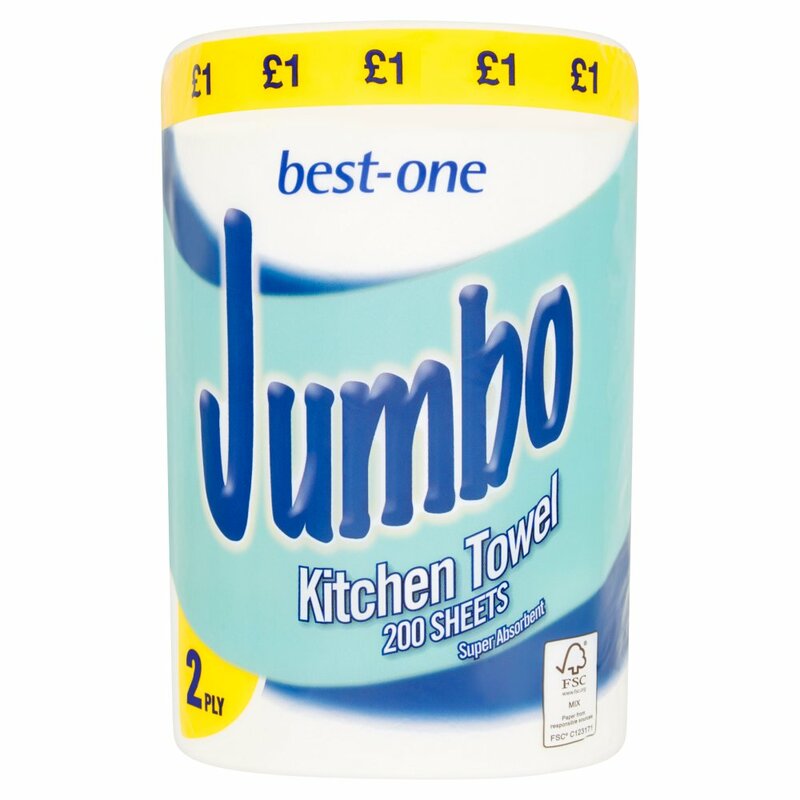 You can use Best-One Jumbo Kitchen Towels for clearing up all sorts of household spills! Don't forget that they are Super tough and Super absorbent which is perfect for wiping away any of life's little upsets. So when you need to soak up a jumbo amount of spillage you can rely on Best-one Jumbo. To avoid danger of suffocation, keep this wrapper away from babies and children. This product is not suitable for use with some household cleansers. Please test before use.